According to the U.S. Centers for Disease Control and Prevention, breast cancer is the most common form of cancer among American women. All women between the ages of 50 and 74 should have a screening mammogram every two years, but many women skip these important appointments. October is Breast Cancer Awareness Month and the perfect time to remind your customers about the seriousness of this disease. Your small business can make a difference during Breast Cancer Awareness Month with a few simple actions. Organizations like the National Health Information Center make it easy for companies to spread the word about breast cancer through social media. They provide sample tweets, e-cards and Facebook posts that have links to informational sites. 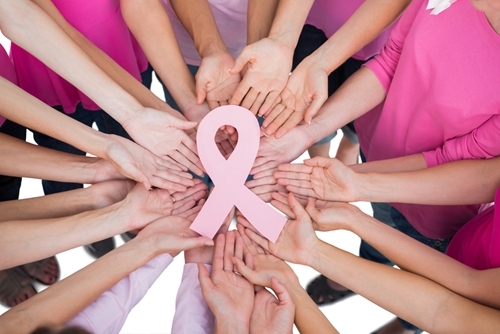 Encourage your followers to tag women they know who have overcome the disease. Getting people engaged is a great way to show your support and raise awareness. When you’re designing marketing materials for October, include a small blurb about breast cancer and the preventive measures women can take. HealthFinder, a blog from the U.S. Department of Health and Human Services, recommended including a small announcement in your company’s monthly newsletter. The text can easily be included in a sidebar or on a calendar of upcoming events. You can also post a banner on your website that encourages women to get regular mammograms and visit government sites for more information on breast cancer. For the customers who visit your business, offer promotional products in exchange for a donation. There are a number of great items that simultaneously promote breast cancer awareness and help you market your services. Personalized Awareness Ribbon Water Bottles will be popular with athletes or customers who are looking to get in better shape. Encourage your patrons to exercise regularly to decrease their risk of cancer and other chronic diseases. Another option is Breast Cancer Awareness Ribbon Keyholders. Each ring features a beautiful ribbon charm and a charm with your company name on it. Customers will appreciate the token, especially if they know someone fighting breast cancer. You can also use these key rings to hold the company’s keys for the month. Finally, Awareness Ribbon Grocery Shopper Bags are a great product that your customers can use for a long time. The handles on the bag form a pink breast cancer ribbon. With this item, you’ll be able to raise awareness and make a difference long after October ends!